Winter Special! Call for more details (513) 921-1655 FREE quote over the phone and to find out more about our FLAT RATES and HOURLY RATES. 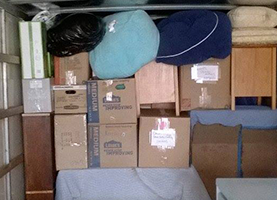 Give us a call for free advice on your moving situation and for free estimates! We go above and beyond and we specialize in residential moving! Call (513) 921-1655 for a free estimate! Moving can be a stressful experience. From packing up all of your possessions to wondering how you’re going to get it to where it needs to go, it can take a toll on you both mentally and physically. If only there was a company that specialized in moving of all shapes and sizes. Well today is your lucky day, because A+ Don's Moving & Hauling is just such a company. 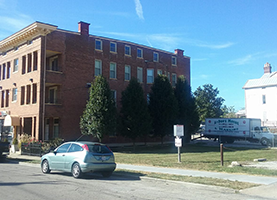 A+ Don's Moving & Hauling is number one in customer satisfaction in Cincinnati, OH! To put our customer satisfaction to the test and to make sure you can have complete faith in our abilities; our company is insured and bonded to put your mind at ease about a traditionally stressful time in your life. Ready to relocate? Our team can help. We can help you move out of town or just down the street. Give us a call for a free estimate! We will also disassemble and reassemble your furniture if you need an extra hand! Have a business that is in need of a relocation but you are having trouble finding someone to move your equipment? Not a problem - we can take care of that too! 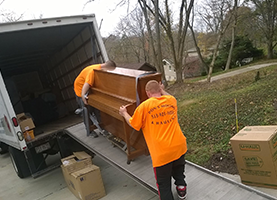 We can move anything from pianos to tanning beds to even ovens and culinary equipment. Whether you need a team to dispose of waste from your business or property, our professionals are here to lend a hand. At A+ Don's Moving & Hauling, we've worked with property owners, landscapers, demolition crews, and homeowners to remove junk, debris, and waste. Give us a call if you need a professional team for junk removal. No matter what kind of job you have, our friendly staff can assist you so you can get on with your life post-move easily and smoothly. If you are a senior citizen or have a military background, ask about our discounts pertaining to you! Call today for a free estimate and to get the ball rolling on your big move.